Our APS Knights played in the Georgia High School Water Polo Association State Tournament last weekend. On day one, the Knights won their first game against Lakeside B. It was an easy win, a preliminary game to prove the Knights could compete in the rest of the championship. Their true victory was on day two when they battled the Norcross Blue Devils’ B1 team. The Knights lost to this team in sudden death overtime during their first game of the season back in August, but this morning was different. APS showed it was the better team, taking the lead early in the first half. The Devils made a comeback late in the fourth quarter, scoring two goals and narrowing the Knights’ lead to two. The Knights, however, were not in the losing mood and scored one last goal before the end of the game, winning 10-7. The second and final game of day two was tough for the Knights.They expected a loss as they played Southern Crescent, a team seeded fifth in the tournament, much higher than the Knight’s thirteenth seed. Starting out quickly, Southern Crescent scored five goals in the first few minutes of the game. Although Southern Crescent kept up this pace throughout the game, APS did improve, scoring eight goals total. Despite the Knight’s valiant efforts, Southern Crescent took the game 14-8. 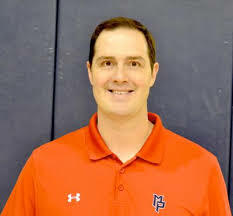 Because of their two wins in the three previous games, the Knights started day three of the tournament against the other Knights of Georgia, Pace Academy. Although APS lost to Pace earlier in the season, they showed Pace who the better Knights were this time, winning 18-12. 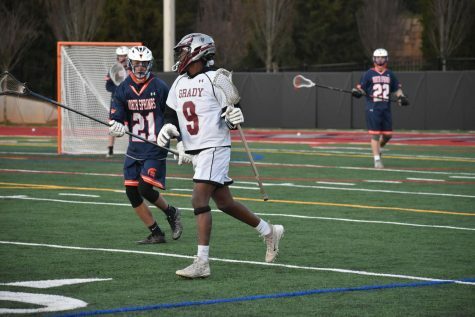 APS had an advantage because Pace had no substitutes and had a player ejected from the game in the last quarter, but Pace still managed a fair number of goals thanks to their main offensive player senior Jason Weiner. In the Knights last game, the game that would determine ninth place, they faced off against the Norcross Blue Devils’ B2 team (the Devils have three teams: A, B1 and B2).The Knights pressed early, scoring five goals in the first half. The Devils hung on, keeping the Knights within a few goals ahead of them throughout the rest of the game. Despite Norcross’ efforts, APS came out on top, winning 12-7, snatching ninth place out of the Devils’ grasp and taking the title of number one in division two.This was the Knight’s last game of the season, but a few team members played Thursday in the All-State games. Grady junior Ryan Switzer and Grady seniors Kate de Give and Luke Paddock made the All-State Girls and Boys teams. Switzer also received the award for Offensive Player of the Year in division two, and head coach Robin Smith was named Coach of the Year in division two.